Winter is tough on cars. We usually see our first snowfall in November, so now’s the time to get your car ready—before the cold season really settles in. But how do you do that? Just changing the tires is not enough! A thorough inspection will make sure your car can handle whatever winter dishes out this year. Use this inspection checklist as a guide. 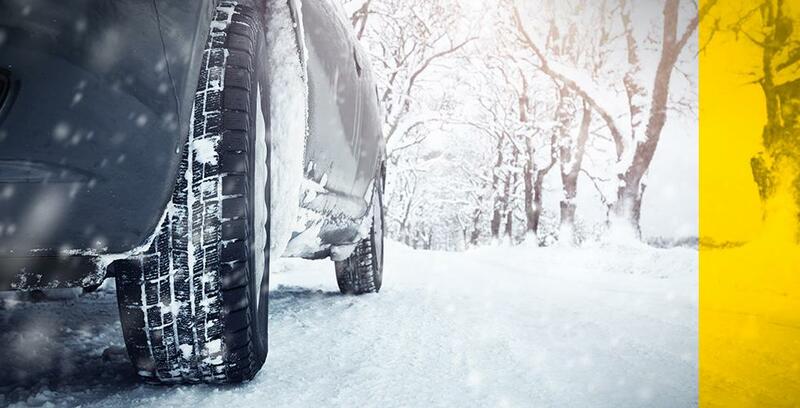 Winter tires aren’t just a necessity—they’re the law! Drivers in Québec must equip their vehicles with winter tires from December 15 to March 15, inclusively, or risk facing a fine of $200 to $300, plus fees. The tire market has become increasingly competitive since the mandatory snow tire law took effect. Knowledge is power, so be sure to research different kinds of tires. Check your tire pressure because it affects how quickly they wear out. And don’t forget the spare! Check your oil and fluids (coolant, power steering, etc.) to avoid problems from deterioration. As a rule of thumb, you should change your oil at least twice a year—in the summer and in the winter—but maintenance schedules vary by model. It’s a good idea to read your vehicle owner’s manual. It contains a lot of useful information. Always carry a new container of winter windshield washer fluid that can handle negative temperatures. And antifreeze is essential to keep your engine running properly, so don’t forget to replace it at the intervals recommended by your vehicle manufacturer. Make sure all your equipment is in good working order so you can see and be seen on the road. Windshield wipers. Make sure they work and replace them if needed because damaged wipers are not as effective. Depending on the quality of the wipers, we recommend buying new ones every year. Some wipers even come equipped with a wear indicator so you know when it’s time to change them. Vehicle electrical system and battery. Cold weather starts put a strain on your battery, so make sure it is fully charged. And testing your car’s electric circuits can help you avoid power or battery failure. Headlights, turn signals, hazard lights, and horn. Be sure to test these important pieces of safety equipment. Suspension and steering system. Their reliability is critical when driving in difficult conditions. Filters (air, gas, passenger compartment). Check your filters before winter so you don’t get stuck replacing them at an inconvenient time or location. Make sure you have all the essential and practical tools you need and always carry an emergency kit. Snow brush with ice scraper. It goes without saying: visibility in extreme cold is crucial! You must remove all the snow from your car and make sure your windshield is completely clear before driving. Did you know that if you don’t clear off your vehicle properly, including the headlights and license plate, you could be fined $100 to $200? Shovel. In a Québec winter, the snow can really pile up. You need to be able to dig your car out of a snow bank or clear a parking space in a pinch. Traction aids. Fluctuations between milder temperatures and cold snaps can cause ice patches to form under your car. Traction aids are indispensable for getting your car out when it’s icy. Emergency kit. Having a well-stocked vehicle emergency kit can be a life saver this time of year. Make sure you have a working phone, blankets, and something to eat in the event of an emergency. Winter is hard and road salt can eat away at your car. A good rust-proofing product can protect your car and preserve its value. It may be something of an inconvenience, but road salt also reduces accidents and helps you save on gas because it creates better traction. A pre-winter inspection helps ensure your car is generally operating as it should. We recommend discussing it with a professional (a mechanic can help). Winter road safety is critical. Slow down and adapt your driving to the weather and road conditions. Lastly, your car insurance should meet your needs. There are a lot of different options, so make sure your policy has you covered.